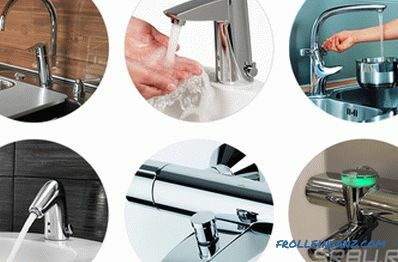 A selection of the best manufacturers of bathroom and kitchen faucets are based on the technical features of the products, user reviews and ratings, as well as technological solutions. Such an element of plumbing as a mixer is often subjected to heavy loads, so the quality and reliability of this device is of great importance. There are a number of manufacturers of mixers that have long established themselves in the market and value their name. Their products are of high quality, and the chance to buy a defective product is not large enough. 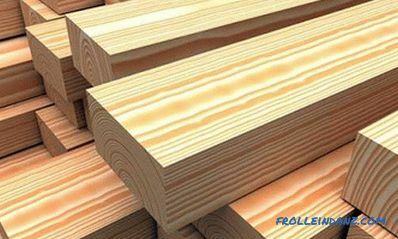 It is about these manufacturers, we will describe in this material. 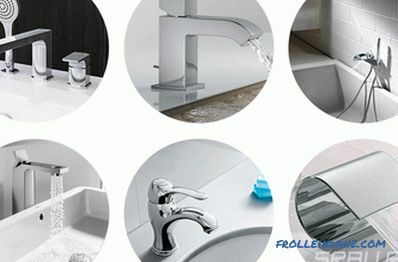 Grohe is a well-known German brand specialized in the production of sanitary equipment and stop valves . The company was founded in 1936. Today it is represented in 15 countries. Products from "Groe" are used for installation in residential and commercial premises. The company uses innovative equipment, constantly improves the quality and expands its product range. GROHE SilkMove - technology ensures smooth lever travel, as well as the accuracy of temperature and pressure control. Main advantages: use of high-quality cartridges, smooth ceramic plates and special Teflon lubricant. The cartridge plates are polished to a perfect smoothness. The case has a high level of strength and durability, retains an aesthetic appearance, without requiring complex care. GROHE StarLight - this technology is the result of many years of improvement in electroplating processes. To ensure maximum reliability of coverage allowed multi-stage quality control. This applies to both products with a chrome surface, and glossy, color, matte models. GROHE EcoJoy is an economical technology that makes it possible to reduce the amount of water consumed by 50%. Efficiency is combined with comfortable use of the mixer. Modern aerators allow comfortable use with the greatest possible water savings. BauCurve and BauEdge - mixers from quality materials, form developed Ana influenced by the style of Bauhaus. 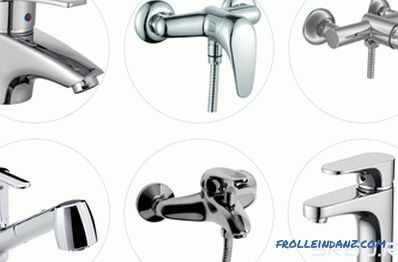 Features of GROHE products: stylish design, wide range, high quality workmanship.Grohe mixers are the optimal combination of reliability and attractive price. In the ranking of bathroom faucets by manufacturers of the model from "Grohe" confidently occupy the first place. The products are represented by thermostatic, contactless models, two-valve and single-lever products. 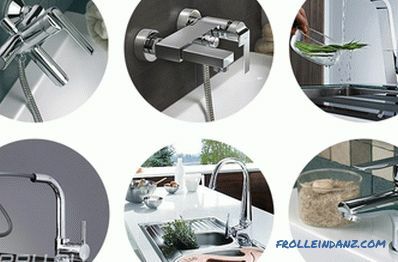 Hansgrohe is a German manufacturer of faucets and other sanitary equipment for the kitchen and bathroom. The founder of the company focused on the manufacture of high-quality mixers. Since 1901, the company has developed and offered customers new models of models that are constantly in step with the times. The first batch of products were sent to German and Czech buyers. Today, Hansgrohe mixers are known in more than 10 countries around the world. In 1936, the middle son of the founder of Hansgrohe founded his own company, Grohe. 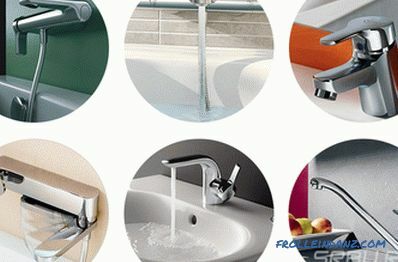 Grohe and Hansgrohe are the largest competitors at the present moment and successful manufacturers of sanitary equipment. Axor - exclusive faucet models for bathroom and toilet. The manufacturer's catalog contains classic and state-of-the-art faucet models with a glossy, matte, color coating of durable and durable materials. The advantages of Hansgrohe products: cost-effective, innovative, wide choice of high-quality and stylish products. Mixers are in the high and medium price range. Unique models allow you to emphasize the individual design of the bathroom or kitchen. 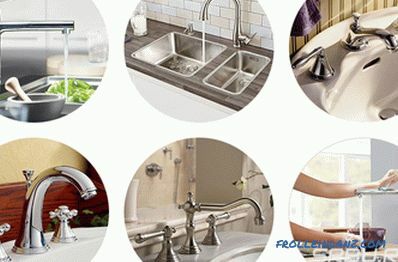 In the ranking of the quality of kitchen faucets products is a leader. Jacob Delafon is a French brand specialized in the production of high-quality sanitary equipment. 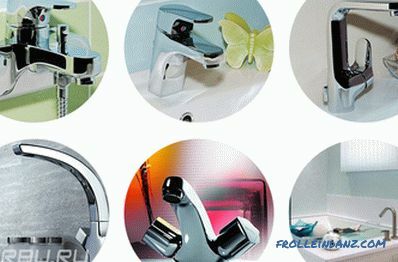 The company offers faucets for the bathroom, kitchen, bidet, shower, sink, accessories for mixers of different types. Producer Jacob Delafon began productive activities in 1889. 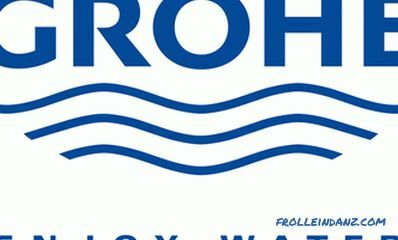 Since 1986, a new stage in the development of the company has started - the brand has entered the KOHLER group of companies. 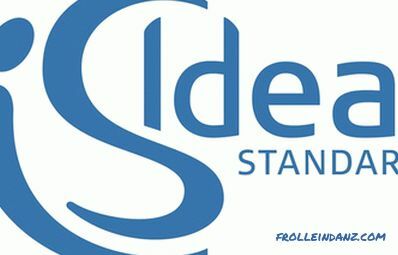 Products meet the highest European quality standards and are represented in Europe, Asia and America. SYMBOL : mixers with a chrome-plated surface from reliable and solid brass. The collection includes models for bidets, showers, baths, built-in type. The design is a modern, minimalist, rounded faucet. STILLNESS : Retro-style faucet models embody harmony underlined by classic forms. The main advantage of the product is stylistic versatility. FAIRFAX : classic-style models with rounded shapes, an innovative head and temperature control system. The coating is chrome-plated, the models are made in cool silver shade, gray-blue color. SALUTE : models in modern style, traditional, recognizable design by Jacob Delafon. The main qualities of the mixers: practicality, efficiency, stylish design with rounded lines and a chrome surface. PURIST : the name of the collection speaks for itself - the manufacturer focused on the architectural style of purism. Features: clear, precise forms, cylindrical base. SINGULIER : high quality mixers with geometrically precise lines and proportions. TAO : modern style mixers with smooth corners and smooth lines. Inclined silhouette - aesthetically pleasing in a room with a high-tech style, minimalism. NATEO : traditional design, smooth lines, innovative design of chrome-plated mixers. PANACHE : the embodiment of dynamics, simplicity of silhouette, minimalism in the design of sanitary products. KANDEL : minimalist models for a modern bathroom. Feature: variants with classic spout and side spout, curved in shape are presented. TOOBI : laconic Asian style, the mixers are made in the shape of bamboo. Jacob Delafon mixers are made of quality materials, allowing you to choose from a wide range of models for classic, ethnic or modern interiors.Products are marked by positive user reviews and quality certificates. Ideal Standard is a company specialized in the production of sanitary equipment, faucets for bathrooms and kitchens from quality materials. The company presents its products in Europe and America, has been developing technologies for more than 100 years, expanding its product range, is among the ten recognized leaders in the production of mixers. At the moment, the company is represented in Europe, America, Asia, Africa. Core values ​​of the brand: an individual approach to each client, innovative developments, a wide range. 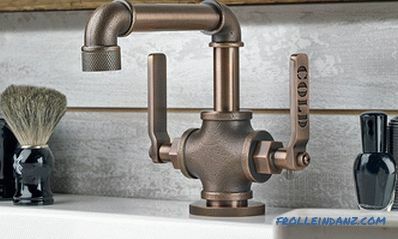 Designer faucet models allow you to emphasize the unique style of the bathroom or kitchen. San Remo is a stylistically versatile collection. 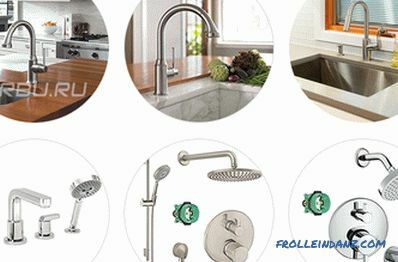 Ideal Standard is a choice of practical users who seek a reliable faucet at an attractive price and highlight the unique design of a bathroom or kitchen. A wide range of high quality products will allow you to choose a model based on individual requirements. 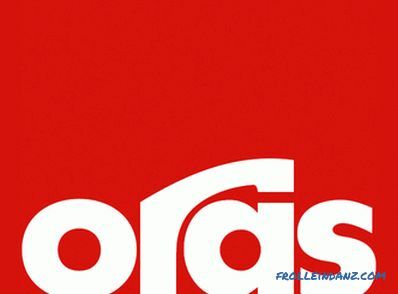 Oras is a Finnish brand specialized in the production of various high-quality sanitary equipment. The company was founded in 1945 as a manufacturer of shower sets. At this stage of development, Oras is famous as one of the best manufacturers of electronic contactless mixers. The company ranks fourth in terms of the production of sanitary products in Europe. Features of mixers: dynamic, modern design, high quality of used materials, functionality and comfort in use. Products are focused on high-tech, modern, minimalism, futurism. AVENTA - stylish kitchen faucets. Oras are Finnish products, represented by models in the modern style for the bathroom and kitchen. The manufacturing company guarantees: high quality, unique design, reliability and durability of products. Roca is a successful manufacturer of sanitary equipment on guard of quality and style. Roca is a Spanish brand that produces high-quality mixers with an ultra-modern, unique design. In the production of the latest developments used in the improvement of sanitary equipment. Only high-quality environmentally friendly materials that meet the highest European standards are used. The manufacturing company was founded in 1917. 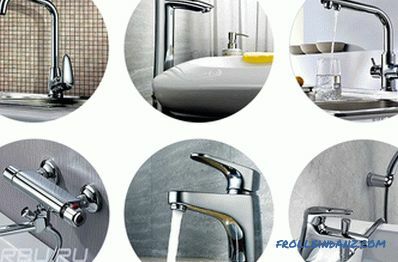 Since 1954, quality and stylish faucets for the bathroom and kitchen have been launched under the brand "Roca". Today, products are not limited to a narrow direction of production. The company produces high-quality bathtubs made of cast iron or acrylic, toilet bowls, bathroom furniture, bidets, accessories. The main features of the models are their low water consumption. Roca faucet design allows you to fit them in a classic or modern interior. Roca - Spanish mixers, presented in a wide range of prices. 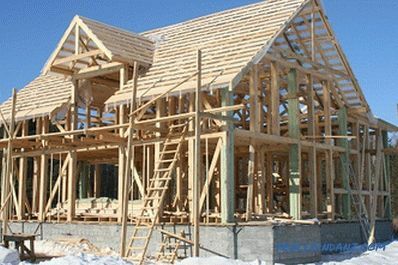 Simple inexpensive models are characterized by high quality and stylish design. Unique options for an exclusive interior emphasize the sophistication of a luxury bathroom. 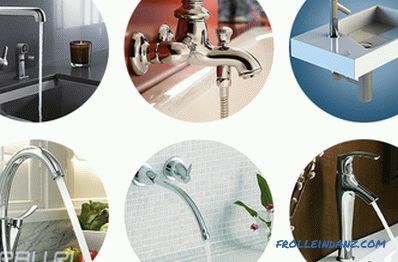 The company is successfully included in the ranking of the best manufacturers of kitchen faucets. 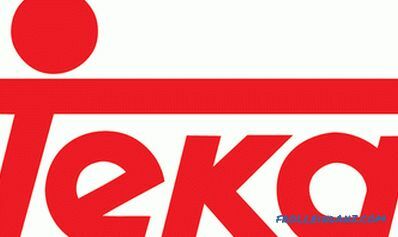 Teka is a European company specialized in the production of sanitary equipment and appliances for the kitchen. The company has been on the market for over 50 years. The main office is located in Spain, and representative offices successfully operate in America, Asia, and European countries. The multinational brand is constantly expanding its product range with new models made from quality materials in a recognizable style. Teka products - the opportunity to buy mixers at an attractive price, choosing an option according to the criteria of quality, additional properties, design, cost. 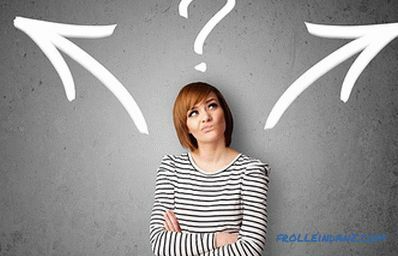 Users note affordable prices as the main advantage of their products. 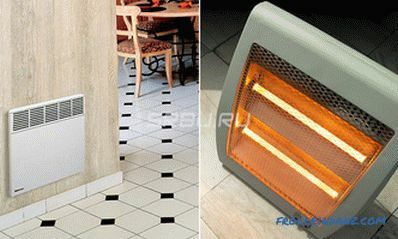 Among the obvious advantages: efficiency, simplicity of forms, original design, reliability, durability, energy efficiency. Mixer models are presented not only in the usual forms with a chrome or matte surface. Color faucets highlight the unique high-tech or minimalist bathroom decor. The company offers a collection of TEKA electronic mixers TEKTRONIC and TEKA color mixers. Teka guarantees the quality of the products on the market with a wide range of traditional and state-of-the-art mixer options. Vidima is a Bulgarian brand specialized in the production of high-quality faucets and other sanitary equipment for the bathroom rooms and kitchens. Well-known company offers attractive prices and stylish design of mixers for every taste. Products meet the highest requirements and quality standards, making it popular in Europe and Russia. The beginning of the successful work of the company - 1934. 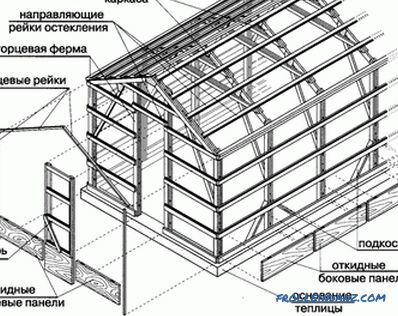 Then the manufacturer specialized in the manufacture of plumbing. Mixers appeared in catalogs in 1989, after joining the multinational company Ideal Standard International. The "Vidima" collections present various variants of styles - from exquisite classics and sophisticated vintage to ultramodern models in the styles of futurism, hi-tech, minimalism, avant-garde. The full-cycle plant operates using a unique technology, ensuring continuous quality control of products. Vidima is the right choice for those who want to get high European quality at a reasonable cost.The main advantage is a wide range of mixers for rooms of different functional loads. Lemark is a Czech brand of low-cost and high-quality mixers. The company is constantly improving production technology, replenishing the range with mixers in a variety of styles - from classic to high-tech style and futurism. In the production of environmentally friendly materials. The main direction of the company's development is the use of energy efficient technologies to create the most practical and economical mixers. The design of the mixers allows for smooth and precise regulation of the pressure and water temperature. Mixers are presented with options with a chrome, matte finish, characterized by a long service life. Color models are a great choice for a modern interior style. Lemark is the right choice for saving money. In the collections of mixers are models in different styles. The manufacturer ensures the reliability and quality of products that meet all the norms and standards of European products. JIKA is a Czech company that manufactures high-quality and reliable faucets and other sanitary equipment. The company has a long history of successful development. Over 130 years on the market have made the brand one of the most successful and stable in the average price range. At the moment, the brand is part of the Spanish company "Roca". The inclusion of one of the European leaders was a turning point in the development of the manufacturer. JIKA - the best combination of price and quality. Production allows you to save money without having to abandon the style and quality of faucets for the kitchen and bathroom. A selection of manufacturers was carried out on the basis of technical characteristics, reviews, opinions and ratings of users posted on various resources on the Internet. All information is taken from public sources. We do not cooperate with manufacturers and trademarks and do not call for the purchase of certain products. The article is informative.